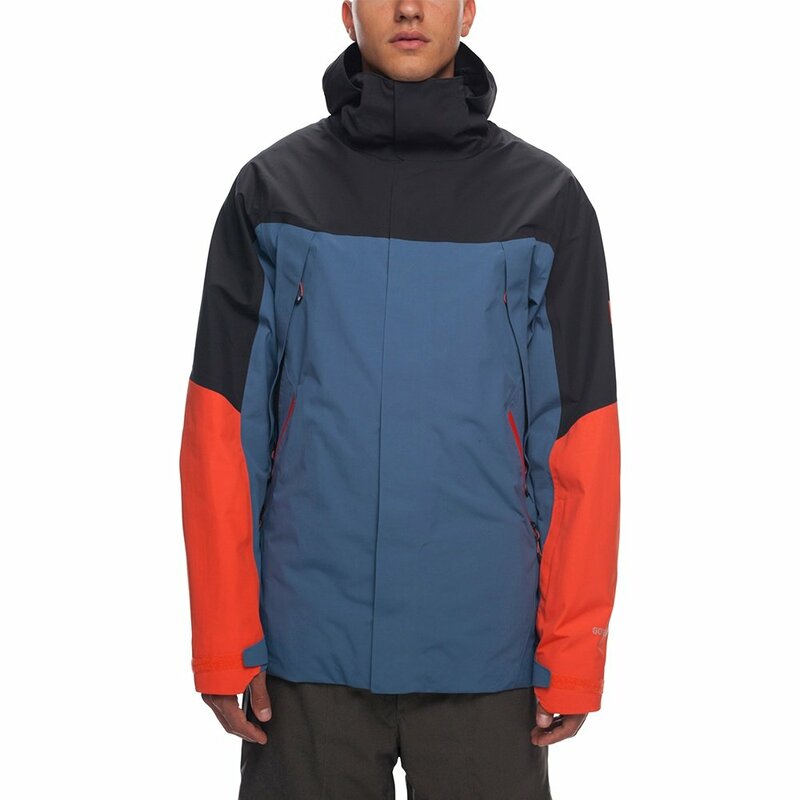 When it comes to finding the perfect snowboard jacket, you should always trust the pros, and 686 is no stranger to the mountain. The 686 Stretch GORE-TEX® Zone Thermagraph™ Insulated Snowboard Jacket is made with two-layer GORE-TEX® fabric, so it's literally the most waterproof jacket you can buy. Equally impressive is the industry-leading Thermagraph™ technology, strategically mapped to place 180g infiLOFT™ moisture-resistant and heat-trapping insulation in areas where you need it most. Plus, it's highly breathable and stretches to move with your body. If the features of the Stretch GORE-TEX ® Zone Thermagraph™ Jacket have you feeling overwhelmed, don't worry - all you need to know is that this is one of the most technical, high-performance jackets you'll see on the hill. Air-Flo™ mesh-lined and pack-friendly chest vents, a zip-out powder skirt, and a Pant Jacket Connect™ system. Stay dry and warm in all but expedition conditions, with Thermagraph™ heat-mapping technology and two-layer GORE-TEX® fabric with a DWR finish. This jacket has pockets for your goggles, season pass, hands, lip balm, media, and more.